Pakistan Navy Civilian Jobs 2018 in batch no A-2019. Registration is started for Pakistan Navy Civilian Jobs 2018. Pakistan Navy announce a admission in batch no A-2019 for civilians. Pakistan Navy is the best navies(water) forces in the world. If you want to apply online for admission in Pakistan Navy visit Join Pakistan Navy official site. 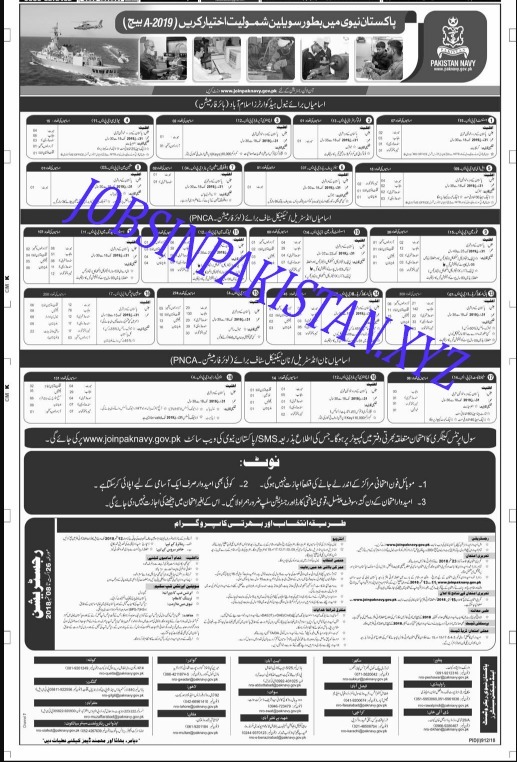 All information related to Pakistan Navy Civilian Jobs 2018 is given below in the advertisement.